Home / politic / Who is John Pang? Who is John Pang, the person working under George Soros where both are using Soros' considerable influence to lobby the US Govt to remove Najib. John Pang was also the one who fed RPK wrong info to induce RPK to make the false SD against Rosmah. As admitted by Ambiga and Maria Chin, Soros also directly funds BERSIH via his Open Society Foundation. Soros also owns 29% of MalaysiaKini via his media development labs. And Soros funds 100% of Human Rights Watch who always whack Malaysia. A few years ago, Mahathir had accused Soros of pushing his Yahudi agenda to effect regime change in Malaysia so that it can come under Soros' control. But Mahathir now forgets or don't care as long as Boboi's goals are not reached yet. Soros works closely with the overt arm of the CIA, the NED to effect regime change throughout the world. They are banned in Russia and China. John Pang is a senior fellow at the S. Rajaratnam School of International Studies, Singapore, where he works on regional strategic and security issues. As a director in a major Southeast Asian banking group, he led policy engagement and founded an independent research institute and a council of regional business leaders. He has served in direct advisory roles with leaders in Indonesia, Malaysia, and Burma. As a consultant, Pang has worked on state owned enterprise reform and special economic zone development and has led political risk advisory work in Southeast Asia. 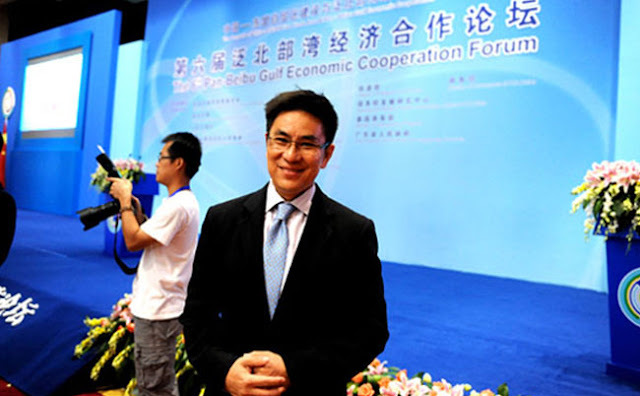 He is a member and former chair of the Global Agenda Council for Southeast Asia of the World Economic Forum. Prior to working in Southeast Asia, Pang pursued his bachelor’s and master’s degrees in philosophy and economics at the London School of Economics. His doctoral work at Stanford University is focused on the philosophy of religion.